A comprehensive makeover includes 743 hp power upgrade and bespoke carbon-fiber body work. 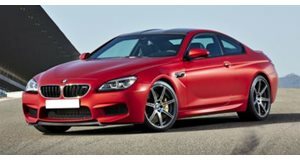 German tuner Manhart Performance has whisked the wraps off its latest creation based on a BWM M6. The high-performance coupe has been dubbed the MH6 700 after the power upgrade that boosts the 4.4-liter V8’s output to 743 hp and 703 lb-ft, up from 560 hp and 502 lb-ft. The Stage 4 performance kit doing the business includes a remapped ECU, a carbon air intake system, sports catalytic converters and a bespoke exhaust with quad 100 mm pipes and downpipes. The result is a 0-60 mph time of 3.8 seconds, 62 mph - 124 mph comes in at 6.3 seconds, and 50 mph to 155 mph has been timed at 12.4 seconds. Top speed is a claimed 199 mph. The aftermarket package doesn’t end there with Manhart creating bespoke carbon-fiber body parts including a front spoiler with optional RS blade, an engine hood with GTR air inlets, a rear diffusor and trunk lid spoiler. Mirror caps were also coated in carbon, while chassis upgrades extend to a set of the tuner’s 21-inch Concave ONE wheels, and a rebound-adjustable KW suspension.